Ban California because on a map, it looks like a high capacity magazine. Colter Smith started this petition to Governor Edmund G. Brown Jr.
Due to the California assault weapons ban on November 14, 2016. California law lists certain firearms that have been deemed assault weapons, including all AK series and Colt AR-15 series. California Attorney General is required to promulgate a list specifying all such firearms. However, a firearm that meets the descriptions is also an "assault weapon". In simpler terms, anything black, military-looking, or looks deadly is banned. 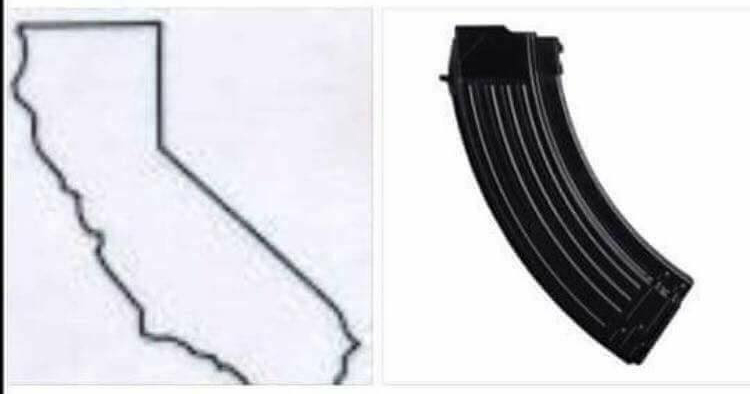 Looking at the state of California, it clearly represents a high capacity magazine. California enforces a 10 round magazine limit and California clearly violates this law. The only solution to this issue is to ban California. I feel that my fellow progressive Democrats in the State Legislature will agree on this issue. This is my proof and a major issue to progressive Californians. Jerry Brown: Ban California because on a map, it looks like a high capacity magazine. Colter Smith needs your help with “Jerry Brown: Ban California because on a map, it looks like a high capacity magazine.”. Join Colter and 38 supporters today.